Elon Musk recently highlighted the importance of cash for a company. The billionaire CEO of Tesla and other companies tweeted that he would be taking Tesla private. He informed investors the deal would be valued at $420 a share. Analysts immediately went to work determining whether or not a deal was feasible at that price. The general consensus was that it was not. And, that was based on the company’s cash flow. Analysts immediately began calculating how much cash Musk would need. There was a general agreement that it would be about $72 billion. A quick look at the company’s balance sheet showed there was about $2.2 billion in cash at the end of last quarter. That would mean Musk was well short of what he needed. 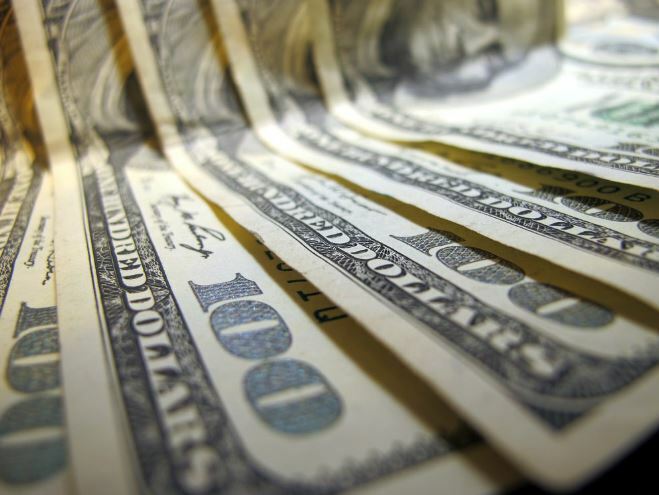 When companies need cash, they can sometimes meet that need through operations. Remember, cash is the basic measure of a company’s operations. They sell products, buy raw materials, pay employees and meet other expenses with cash. This can be calculated using financial statements with a measure known as cash flow from operations. Not all of the cash flow from operations will be available for things like taking a company private. Some of the cash flow from operations will be needed simply to maintain the company’s normal operations. A more specific measure known as free cash flow will allow analysts to determine how much cash is available for an acquisition. Management’s responsibilities include allocating FCF. They can decide to reinvest free cash into operations, buying new equipment or building new factories, for example. Or, management can use FCF to reward investors with increased dividends or share buy backs. Musk could, potentially, use FCF to take Tesla private assuming the free cash is sufficient to fund that idea. Unfortunately, analysts have been noting the fact that Tesla is not generating enough FCF. In fact, some analysts believe the company is facing potential problems. 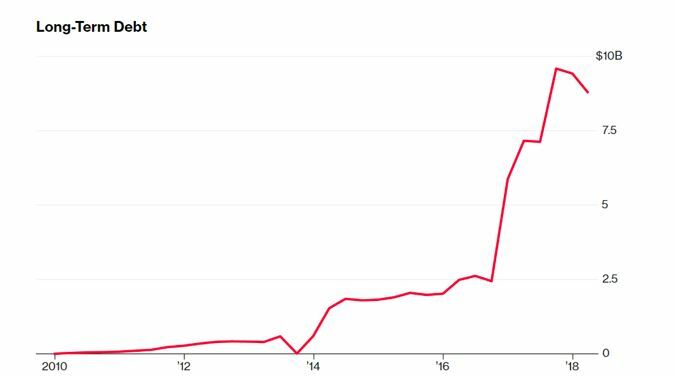 Recently, Bloomberg noted that, “Tesla Doesn’t Burn Fuel, It Burns Cash.” The chart below was included in the article and demonstrates the large amount of cash that Tesla is consuming as it grows. 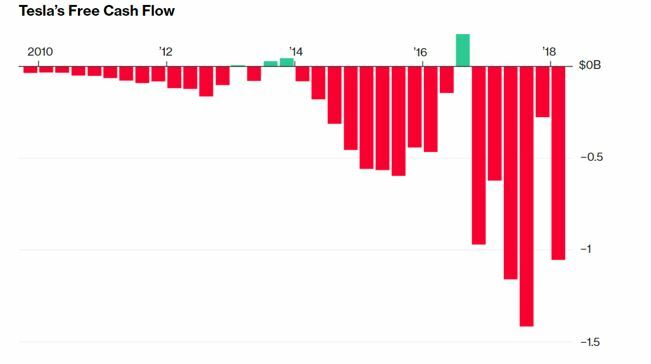 Negative FCF is common in companies that are ramping up operations as Tesla is. Management is required to make investments that will benefit the company in the long run. For a car company, those investments would include factories and raw materials to build cars. In the long run, management will expect those investments to deliver returns. And, the trend in FCF should change from down to up as those large initial cash outlays eventually yield results. Because negative FCF is common in startups, investors often step up to finance the initial stages of operations. They can do this by buying shares of the company in an initial public offering or a secondary offering where the company sells shares on a stock exchange. Or, investors can lend the company money. In the case of Tesla, investors have loaned the company a large amount of money. The company’s high level of debt can be a concern to investors, and it also indicates that Musk could have difficulty financing his intended plans. In fact, he did call off the potential deal after several weeks. Investors analyzing cash flow could have made significant returns by taking a position to benefit from a potential decline in the stock. Bears could have shorted the stock or used put options to potentially benefit from a downside move. And, their analysis could have been based on cash flow. Like other fundamental metrics, FCF can be used to evaluate the value of a stock. The price to FCF ratio is interpreted in the same way other fundamental ratios like the P/E ratio or the price to book (P/B) ratio are. Lower values are often indicative of more value than higher values. 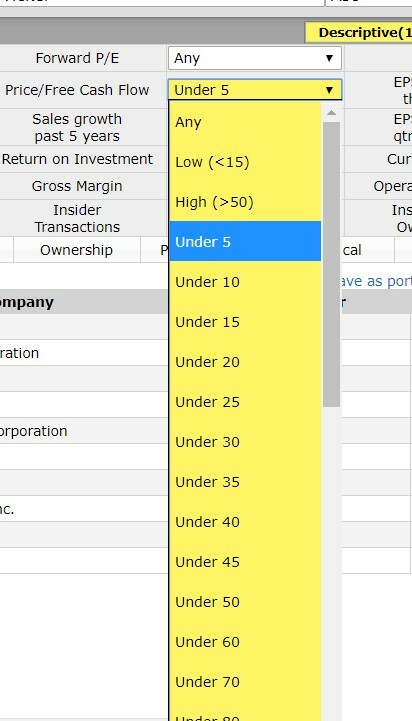 One way to find stocks meeting that requirement is with the free stock screening tool available at FinViz.com. At this site, you could screen for a variety of fundamental factors like free cash flow, high levels of institutional ownership and bullish institutional transactions. An example is shown below. For this screen, we selected stocks that are included in the S&P 500 index and that have a low P/FCF ratio, specifically a ratio below 5. The screener allows investors to select a variety of values. When evaluating this screen recently, we found 10 companies passed this initial test. We narrowed the list to just 4 companies by requiring a dividend yield of at least 3%. Because FCF is so important, it could be an important criterion for investors to consider. Many investors may find that FCF could deliver better results than a focus on earnings which so many investors use as a fundamental screen when buying. There are a variety of ways FCF could be used. We showed a simple screen above and added the dividend requirement because all approaches to value investing can require holding stocks for the long term. The dividend provides some level of return while waiting for the price of the stock to rise. Investors could also screen for FCF growth, requiring the company to show an up trend in this metric as a way of spotting companies that offer growth potential. Management will be forced to allocate the growing FCF in ways that should benefit investors in the long run. While many investors will continue to focus on earnings, it is likely that when the next downturn hits the economy, earnings will drop. That will mean that companies with strong FCF growth will be in a better position to survive the downturn and deliver gains to investors.